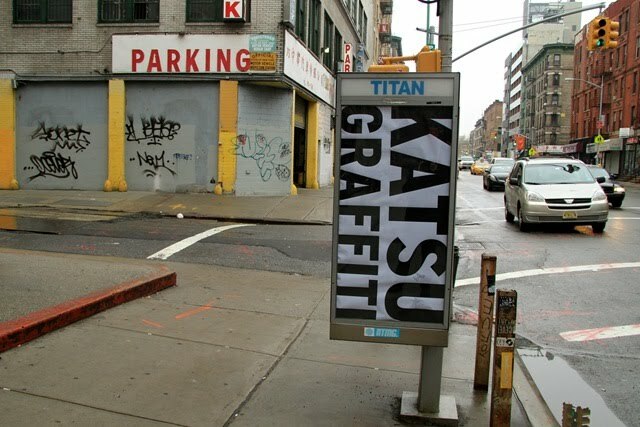 Katsu has taken a large number of phonebooths over recently. Projected numbers reach far beyond 50 takeovers. While I was on the fence about his recent takeovers which seemed more about promoting his show at Power House, the sheer breadth of this takeover is what gets me excited. Katsu, if you're out there and willing to contact me, please do. I would really love to speak with you about your work! I hear the guy from Titan is Mafia. Maybe that's why there are so many phone booths without phones in them. But whatever. Katsu, I'm sure Titan wants to speak with you about your work too!